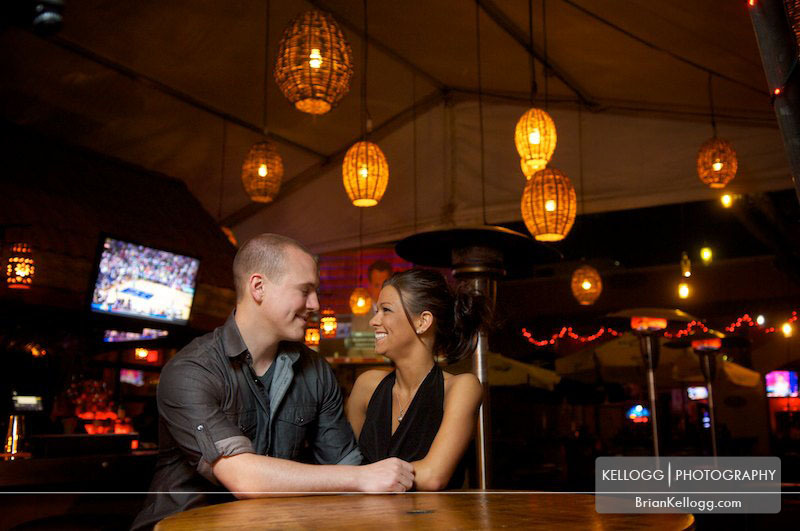 I had a great time with Jenny and Brad shooting their engagement session. 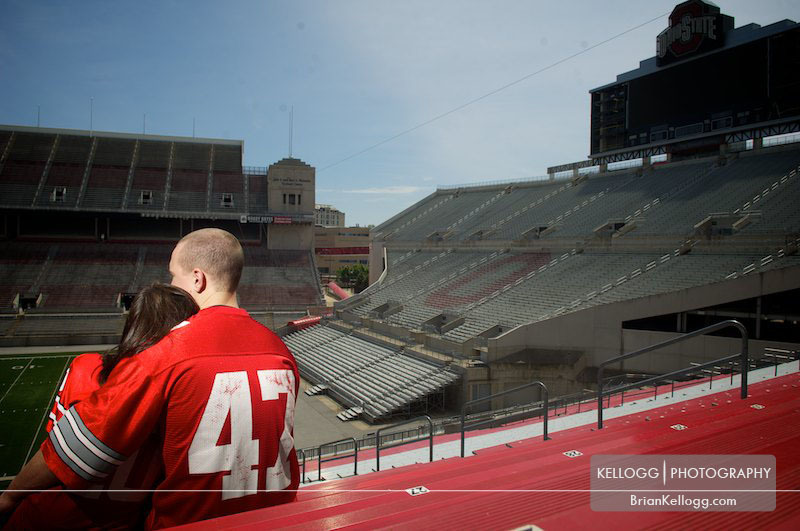 We first went to the Ohio State football stadium to take a few fun photos on the field. I got quite a few great photos of them flirting and just having fun all throughout the stadium. I love the photo of Jenny and Brad looking down from the stands with them highlighted with my umbrella. It is one of my favorite photos from the session. We then traveled to Hayden Run Falls. I was floored to find such a great waterfall in Columbus. I took a few long exposures to make the falls glow. We then met back up at night went to a few of my favorite spots and the Park Street Cantina where they first met. I can't wait for their wedding this October!